FANTASTIC LOCATION & NO DEED RESTRICTIONS!!!! Welcome to this spacious ranch style home tucked away in the conveniently located Westwood Subdivision. This UPDATED and well kept POOL HOME offers 4 Bedrooms, 3 Baths, 2 car garage, & sits on just over ¼ acre lot!! The COMPLETELY REMODELED KITCHEN is HUGE & features tons of storage & counter space w/all wood honey shaker cabinets, granite counters, stainless appliances, tiled floors, built in pantries with lots of storage, & a pass through window/bar to the dining room. The centrally located kitchen opens up to both the living room & a formal dining room space. Enjoy extra living space with a formal living room w/large windows which provides a lot of natural light. The large master bedroom features a nice walk-in closet and remodeled master bath features a tiled walk-in shower. 2 generously sized bedrooms share a remodeled bathroom. The 4th bed/in-law suite is located off of the dining room & features its own newly remodeled bathroom. The dining room sliders lead to the caged pool area & the MASSIVE COVERED RUSTIC STYLE PORCH is perfect for entertaining!! The backyard is fenced & there is a nice shed. UPDATES: New AC & water heater, replaced drainfield, garage door replaced, new insulation, updated pool pump, hurricane shutters w/clips, pool safety gate, fruit trees, laminate/tile throughout, & crown molding. 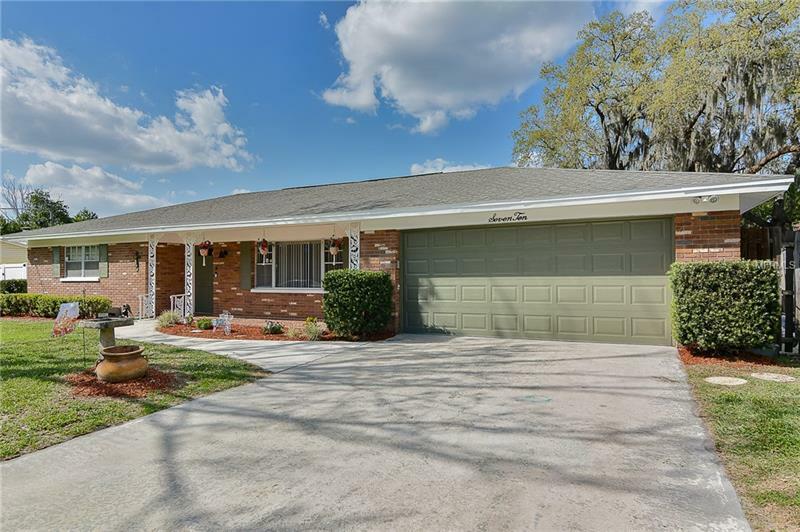 This home Is located in The Heart Of Brandon & MINUTES from the Selmon Expressway, restaurants, shopping & all of the conveniences one needs!